Sensitive skin has found it's saving grace in the Germaine de Capuccini So Delicate SOS Desensitising Serum (30ml). 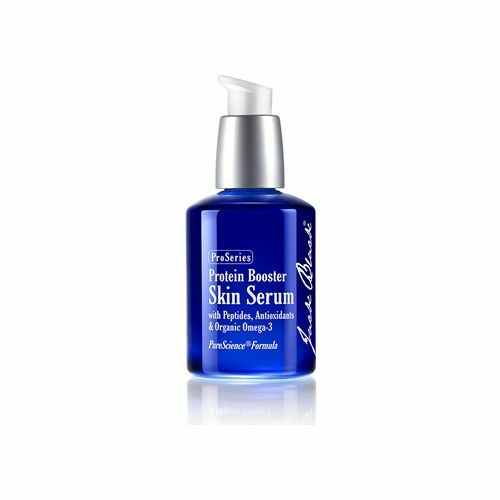 Designed specifically for skin that flares and reacts easily, this unique serum steps in before your normal moisturiser. Using a range of Phyto-active ingredients to support your natural defences, it also benefits from the addition of Defensive Complex using plant origins to instantly sooth and provide essential anti-oxidant properties. After a single application, discomfort and redness appear immediately reduced and visually improved with even the most delicate of skin seeing an improvement without irritation. Use in line with other products in the So Delicate range for optimal results. Aqua (Water), Cyclopentasiloxane, Pentylene Glycol, Oxidized Corn Oil, PPG-3 Benzyl Ether Myristate, Squalane, Hydrogenated Polydecene, Vitis Vinifera (Grape) Seed Oil, Ceramide 3, Butyrospermum Parkii (Shea Butter) Extract, Chamomilla Recutita (Matricaria) Flower Extract, Camellia Sinensis Leaf Extract, Glycyrrhiza Glabra (Licorice) Root Extract, Rosmarinus Officinalis (Rosemary) Leaf Oil, Scutellaria Baicalensis Root Extract, Polygonum Cuspidatum Root Extract, Centella Asiatica Extract, Hydrogenated Lecithin, Hydrolyzed Lupine Protein, Helianthus Annuus (Sunflower) Seed Oil, Rosmarinus Officinalis (Rosemary) Leaf Extract, Alcohol, Butylene Glycol, PEG-7 Glyceryl Cocoate, Dimethiconol, Caprylic/Capric Triglyceride, Polymethyl Methacrylate, Ammonium Acryloyldimethyltaurate/VP Copolymer, Dimethicone Crosspolymer, Triethanolamine, o-Cymen-5-ol, Phenoxyethanol, Methylparaben, Ethylparaben, Butylparaben, Isobutylparaben, Propylparaben, Parfum (Fragrance). Massage Germaine de Capuccini So Delicate SOS Desensitising Serum onto clean, dry skin before applying your moisturiser. Great used on sensitive skin and those with Rosacea.